What are business credit card reviews? To keep operating, businesses have to be able to spend money. In a survey that was conducted in 2017 by the Federal Reserve, 64 percent of the businesses reported having some financial challenges in the prior year. The Federal Reserve found that the issue was particularly acute among businesses with less than $100,000 in annual revenues. Among those smaller businesses, 52 percent reported having trouble paying their operating expenses at some time during the year, and 36 percent reported having problems because of not having credit available to them. Businesses may use credit cards to help them to make needed purchases. It is important to read business credit card reviews before making a decision. Why should you care about business credit card reviews? Business credit card reviews are important because they can help you to choose cards that can help your business rather than harming it. Reviews from real business customers can explain what types of experiences other businesses have had with different card companies. The right business credit cards should not have a detrimental impact on your credit score. They should also charge very low or no interest and offer your business a method to restrict the allowed categories of expenditures. The National Small Business Association reports that 53 percent of small businesses reported increases in revenues during 2017. While the economy is growing, businesses can still benefit from credit cards for added flexibility to help them grow. Business credit card reviews can help businesses make good decisions about the cards that will meet their needs. Reading reviews may assist businesses with avoiding cards that could potentially cause them to harm their profitability and increase their business debt. What are business debit card reviews? In addition to business credit cards, businesses also have business debit cards available to them. Unlike credit cards, business debit cards do not add to business debt because the money is subtracted from the cardholders’ accounts. Business debit cards are not all created equally, however. Some offer more benefits to businesses than others. Business debit card reviews from other businesses that have used them can help business owners to determine which cards offer the greatest benefits so that they can make informed decisions about which cards to get. What is the difference between business credit card reviews and debit card reviews? Reviews of business debit cards and business credit card reviews both offer businesses the ability to compare different cards and the pros and cons of each one. Business credit card reviews can assist businesses with finding credit cards with competitive interest rates so that businesses might cut some of their costs. Debit card reviews allow businesses to review the features of debit cards for businesses. Reading the reviews can allow business owners to select cards that offer the most robust features to reduce their losses while giving them the flexibility to make purchases at the time that they need to be made. How do business credit card reviews relate to a business’s needs? Getting a business credit card can help businesses to improve their bottom lines as long as the businesses choose credit cards that match their business needs. Some credit cards for businesses offer features such as no annual fees while others offer such things as air miles and other rewards. Before choosing cards, business owners should consider reading business credit card reviews to see whether the card offers actually address some of the issues that they face. Business owners might want to look for cards that can help them to control their business expenses so that they can concentrate on increasing their revenue growth. Where can I see reviews of business credit cards and business debit cards? Business credit card reviews can be found by conducting searches online. If your company is wanting to read reviews, however, it is best to choose highly respected business sites such as Capterra or TrustPilot. These sites allow customers to review cards so that other businesses that are considering different cards can get a better idea of how they work in practice. A business debit card is not a credit card. When you apply for a debit card for your business, your credit will not be checked. Business debit cards are linked to your own account. When money is spent with the cards, the purchases are subtracted from the money in your account rather than adding to your debt. Since debit cards can be used to make purchases in the same way that credit cards can be used, they give businesses the ability to pay invoices and purchase items without going through check writing processes. Some business debit cards can also offer businesses expense management tools so that they can reduce their losses. 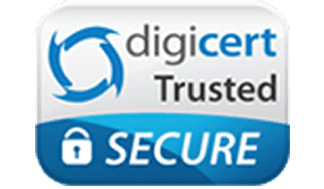 Instead of reading business credit card reviews, make sure to look at business debit card reviews from credible third party sources like Capterra or Trust Pilot. Some debit cards for businesses such as the cards from Bento for Business have robust expense management tools. These cards allow business owners to choose different expense categories that are allowed on each card. The businesses can give individual employees cards that they can use to buy the items that they need for their jobs. Unauthorized purchases cannot be made by the employees with the restricted expense categories. If the workers try to make unauthorized purchases, their attempts will be denied. Businesses are able to set individual spending limits on the cards and view the balances and the purchases from an online dashboard. Businesses should do several things to manage their expenses more effectively. They should start by drafting expense policies that are clear and communicating them to all of their employees. Businesses should also use good accounting software to help them to keep track of their expenses. Automating as many accounting processes as possible can help to reduce errors and waste. For example, choosing cards that integrate with your company’s accounting software can allow the expense information to be imported into the software automatically. Business debit cards can have a much larger impact on your expense management than you might realize. When you choose to use debit cards, you can rid your business of several different processes that are costly. Employees can be given their own cards to use so that your business can end reimbursements. The cards also can be used instead of going through expensive purchase approval processes so that the transaction costs will be lower. The debit cards from Bento for Business allow businesses to track the spending of each employee as well as to track the spending across individual departments within the businesses. 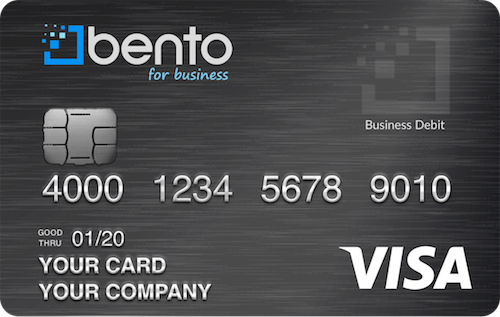 Bento for Business is a highly respected card company that offers Visa debit cards that are designed to meet the needs of businesses. The cards are not credit cards and will not impact your credit. You can deposit the amount of money that you choose into your account, and your money will be insured up to $250,000 by the FDIC. From your account, you can choose how much money to place on each card. The cards let you choose what types of spending you want to allow each employee to complete. At any time, you can log into your dashboard and review the balances and the expenditures that have been made on each card. There is a free 60-day trial so that your business can try to see if the cards work for your business. If you choose to keep the cards, you can order up to 10 for a low monthly price of $29. To learn more, call us at 866.220.8455 or request a demo.